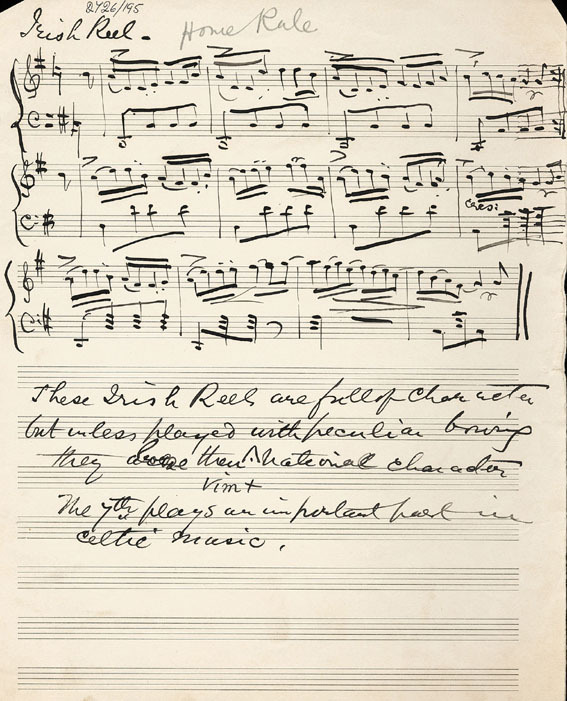 Item Description Manuscript in Skinner's hand of 'Irish Reel - Home Rule. The very simple accompaniment complete with held bass notes looks like Skinner's trademark style. Under the music he writes: These Irish Reels are full of character but unless played with peculiar bowing they lose their vim + national character. The 7th plays an important part in celtic music.